Afterward - that is, for that day, or for that evening - use a little of the Watermelon Seed Tea; this will help to purify. 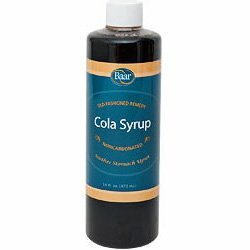 Or if desirable drink Coca-Cola - a little Coca-Cola; this will act almost in the same way and manner in purifying or clearing the ducts through the kidneys, and thus reduce the general forces and influences there. (540-11)8. (Q) Does Coca-Cola aid or deter? (A) Coca-Cola for the body is a stimulant, and will aid at times and deter at others. Taken when tired, very good; but do not gulp - drink slowly. (Q) Are such soft drinks as Coca-Cola detrimental to her? (A) Very harmful for the body. For, the hops act upon the glandular forces that are disturbing to the body; especially the NEW - and so little is aged at present. Especially the combinations of ale and beer are harmful. Here we find that the addition of Coca-Cola, taken in plain water, not carbonated water, would be as helpful for the body as anything that could be taken to aid in the activity of kidneys and bladder. Keep away from Coca-Cola, the soft drinks that carry the carbonated water. Little coffee, though Coca Cola may be taken as a stimulant if so desired. 17. Refrain from taking coffee or tea, or any stimulating drink; no coca-cola, no drinks that carry a high percentage of carbonated waters. Ice cream, sherbert or the like may be taken, but not carbonated drinks; nor tea or coffee. Coca-Cola, limeades and such are WELL for the body.